Did you ever notice that it is hard to beat the octopus grip? This was the concept that German company Festo took to develop OctoGripper. 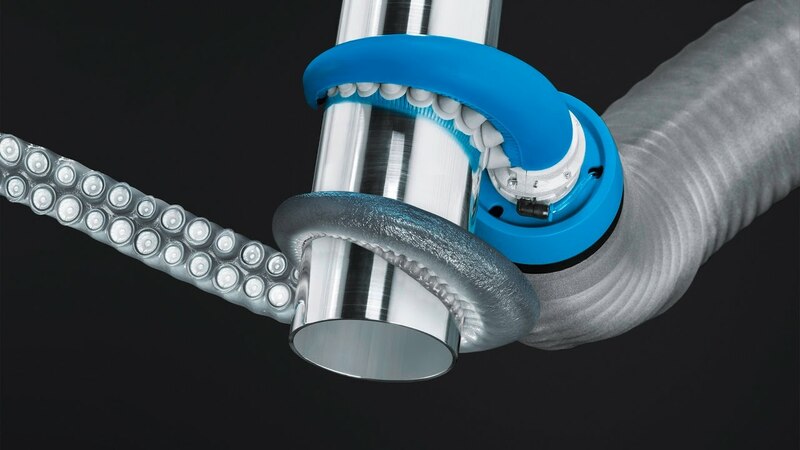 A German company Festo got this inspiration from the octopus grip to develop OctoGripper. The OctoGripper is an robotic arm created by Festo inspired from the octopus. The looks and grip both are like real life octopus. They have used soft silicon structure that can be controlled. Two rows of silicon cups are developed that bend inwards to grip an item. The OctoGripper has the ability to hold things tightly and quickly. Also read How to find lost items in no time ? Festo is a German company that initially started as a wood cutting tools manufacturer and later converted into an industrial control and automation company. Festo is one of those companies that take inspiration from the nature to produce and sell electric control and technology driven products.